Christmas is just around the corner and by now you are probably well into preparations for the big day. If you’re anything like me, you’ll be getting excited as you think ahead to happy, relaxed and stress-free times with family and friends. Unfortunately, it doesn’t always turn out that way though. It can be a time of increased stress and conflict, and can leave us feeling disappointed, angry, and even resentful. Here at TG Psychology it’s no coincidence that we see a significant rise in new presentations in January each year! 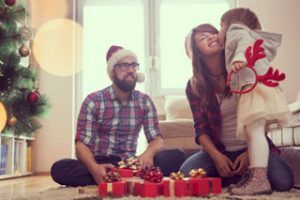 In this blog, I would like to share a few simple steps that you can take to protect yourself from disappointment and feeling let down this Christmas. It’s natural for us to hope that this Christmas will be the best and most perfect ever: everybody will be happy, no-one will argue. Unfortunately, things don’t always go to plan and setting expectations so high can lead to disappointment. It can be helpful to remind yourself that, while you can plan many things ahead, there are some things which are out of your control. Other people’s behaviour and weather are two examples that immediately come to mind! It may also help to intentionally notice the things that do turn out okay. Perhaps even keep a list. This can help you to avoid unhelpful self-talk; such as “Christmas is ruined!” on the basis of one or two mishaps. You could also prepare small prompt cards, with short coping statements, which you read aloud to yourself when things become “challenging”. This can be a helpful way of retaining perspective, and reminding yourself of what’s important to you at Christmas. Who Do We Spend Christmas With? This is a common issue for many families. There is no simple answer, but a couple of simple guidelines may help to reduce the potential for conflict and resentment. Talking the issue through with your partner well in advance, can avoid any assumptions and last minute disappointments. It helps to go into such conversations with a willingness to make compromises, and an acceptance that it is not possible to meet everyone’s needs all the time. The key is for each party to feel that the outcome is fair and equitable. Common solutions include: spending the morning with one side of the family and the afternoon with the other; or Christmas Day with one, Boxing Day with the other, and reverse the following year. Be mindful that long car journeys can significantly reduce Christmas cheer, so if the distances are vast it might make more sense to visit one side of the family this year and the other next year. It is important to ensure that any such agreements are adhered to of course! Things can be further complicated by external pressure from extended families. In my experience, it is most useful to prioritise your immediate family’s needs over those of your relatives. 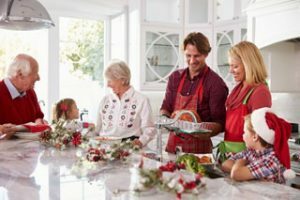 Over involvement from relatives, (often well meaning) is an issue that can de-stabilise many relationships, and can be particularly relevant around Christmas time. They say we can’t choose our family! Many of us have a relative we don’t get on so well with, and of course Christmas often brings us in contact with them. With a bit of planning it can be possible to avoid potential conflict. You may find it helpful to limit your contact with some people. Perhaps give them a friendly greeting and engage in brief small talk, before moving along to people you do get along with. If things do escalate, try saying that you would prefer to discuss any difficult issues at another time. Remember to do so in a non-aggressive way, by paying attention to your body language and tone. It may also be helpful to pay attention to your own body cues. Consider taking a brief time-out, if you notice your own emotions escalating. Controlled breathing, mindfulness and mental distraction can be particularly useful ways to self-regulate. Many of us enjoy a drink at Christmas. Unfortunately for some of us, it can lead to issues if we’re not careful. If you are one of these people, you may find it helpful to control your drinking. A few simple strategies can help. Try setting yourself a daily alcohol limit and monitor your drinking closely to ensure that you stay within that limit. It may help to drink lower strength drinks, or alternating with non-alcoholic drinks to spread your alcohol use over longer periods. Hopefully some of these tips will help you to have a great time this Christmas. I wish you and your family a safe and happy festive season.